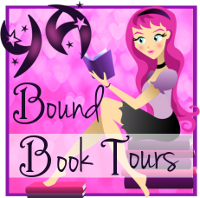 YA Bound Book Tours: Review Copies Available: Ignited by Desni Dantone! 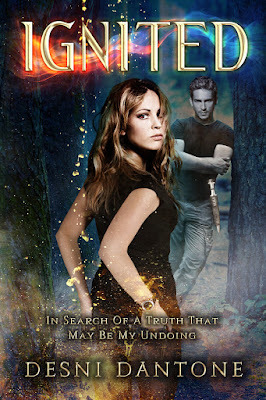 Review Copies Available: Ignited by Desni Dantone! Author Desni Dantone is offering review copies of: Ignited for interested bloggers. This review tour will run the months of January and February. Bloggers will receive an ebook copy of the book and will have until the end of February to post their review(s) on Amazon and their blog. This is different from a blog tour as there will be no set schedule, bloggers must review on their own time (before the end of the deadline). If you would like to participate, please fill out the form below. Please note that signing up will not guarantee you a review copy. Selected bloggers will be notified by email. Seventeen year old Kris Young is on the run from a throng of superhuman golden-eyed freaks hell-bent on seeing her dead, and she doesn't know why. Good thing she has her guardian angel to protect her...sort of. Kris is aided by Nathan, the mysterious man that ends up being anything but angelic when he rescues her for the fourth time in fourteen years. Even if the handsome hero illusion is shattered by his harsh treatment of her, he knows how to fight this strange enemy and is determined to keep her safe at all costs. As the body count rises in their wake, Nathan introduces Kris to a world in which not everyone is human and the battle lines between good and evil are clearly drawn. Kris's piece in the puzzle is something neither is aware of and, as they uncover the truth, neither is prepared for what they find. Overcoming twists and revelations that shatter both of their lives, they discover that nothing is as it seems and nothing, least of all their hearts, are safe. From debut author, Desni Dantone, Ignited is the first novel in a tale of first love, mystery and adventure that will introduce you to an exciting new world as Kris discovers how she fits in it. I've been writing since I was eleven, after I swiped one of my mom's Dean Koontz books. I still remember the first one I read; it was called Darkfall, and kept me awake most of the night. Anyway, I was totally inspired when I learned that he came from the small rural town I called home (true story, I swear! ), and started writing freaky little horror stories because I wanted to be just like him. I gave the stories to my mom to read. I don't think she was as impressed as I was, but she put on an encouraging face...and that was how my writing obsession started. After years of writing for a hobby and taking creative writing courses, I've published my first novel, Ignited. My dream is for Dean Koontz to no longer be the only bestselling author from my little middle-of-nowhere hometown. Blog Tour Kick-Off: Revenge by Sonya Weiss! Cover Reveal: Almana by Julayn Adams! Cover Reveal: Until You Came Along by Kshitij! Review Copies Available: 29 by Nancy Pennick! Book Blitz: Heartbound by P.I. Alltraine! Blog Tour Sign Up: Black Five by J. Lynn Bailey!